The holidays are upon us – the sights, the sounds – the friends, food, and family – oh, and of course, the Turkey! 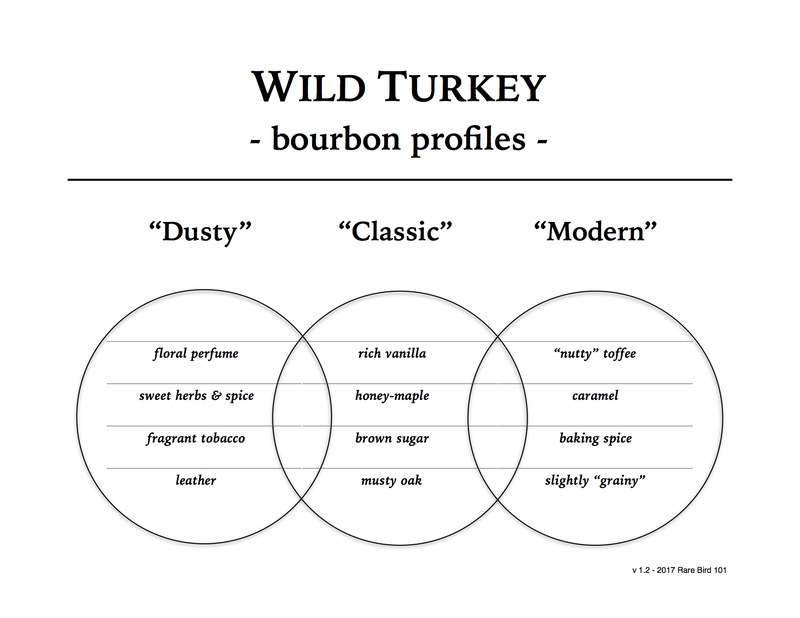 It’s that time of year when Wild Turkey rye expressions find more rotations in my wheelhouse. More typically it’s Wild Turkey 101 Rye, but since I just reviewed a 2017 bottle earlier this month, I think it might be more interesting to take a look at another rye release, Russell’s Reserve Single Barrel Rye. While Russell’s Reserve Single Barrel Rye may not be the easiest Wild Turkey expression to find (due to limited production), it’s not exactly what I’d classify as a “high-demand” rye whiskey either. There are plenty of limited-supply, high-demand rye whiskeys out there – “antiques,” “owls,” and famous “family reserves” to name just a few – but the odds of discovering those at retail are very low. Personally, I think folks chasing only allocated rye labels are missing out. Russell’s Reserve SiB Rye may be limited, but with a little effort it can be found at retail (both in stores and online). In my experience it’s a comparable alternative. That said, I’ve only reviewed Russell’s Reserve SiB Rye twice to date (much less than Russell’s Reserve SiB Bourbon), so perhaps another examination might add more credence to my assertion. With that in mind, I’ve decided to take a look at a 2015 Russell’s Reserve Single Barrel Rye I picked up at my trusty local a few months back. While I’ve reviewed a 2015 release before, it was a sample from several states away. Being a single barrel expression, each bottle has the potential to be distinctly unique. While Master Distiller Eddie Russell strives for consistency (and does so very well in my opinion), there’s no guarantee on an exact profile match. All things considered, I’m not anticipating any surprises with this one. So let’s have a pour and see if I’m right. Overall: As expected, this Russell’s Reserve Single Barrel Rye is a hands-down excellent whiskey and very much consistent with the bottles/barrels I’ve previously enjoyed. It’s a perfect example of a higher proof single-barrel Kentucky straight rye and you don’t have to pay a hefty premium for it. And while the rye content may be relatively low (about 51%) compared to other non-Kentucky rye whiskeys on the market, Russell’s Reserve SiB Rye has more than its share of zesty & minty spice to keep it interesting. In fact, I’d argue its specs and profile are so unique that it alone fills a special niche in today’s rye whiskey market. In closing, if you’re looking for a quality straight rye with unmistakable Kentucky charm, I highly recommend Russell’s Reserve Single Barrel Rye. It’s got everything a whiskey enthusiast might want, with the exception of an age statement and possibly an ABV at barrel-proof. As for how it compares to other Wild Turkey rye expressions, I’d say that Russell’s Reserve SiB Rye displays more maturity than Wild Turkey 101 Rye and greater complexity than Russell’s Reserve 6-year Rye. Overall, the single barrel is arguably the best of the bunch. As for my favorite holiday pour, Wild Turkey 101 Rye remains my sentimental dram of choice. In terms of grading, however, Russell’s Reserve Single Barrel Rye is undoubtedly a cut above. Gotta get one of these soon!